Most of you will be aware that your Federation subscriptions provide invaluable legal protection if you are faced with any allegations that arise from your duty as a police officer. Each year we advise and represent officers who are subject to such allegations, through both criminal proceedings and the misconduct process. The cover provided through Federation subscriptions gives members access to specialist solicitors and barristers, experienced in police matters, who will provide advice and representation as required at either criminal court or misconduct hearings, including investigations led by the IOPC. However, the cover provided by Federation subscriptions is only in relation to matters that arise on duty and in relation to your duties in the office of constable. There are many instances where funding cannot be provided by the Federation: for example, an investigation arising from an off-duty incident, whether that is a criminal allegation or an internal gross misconduct inquiry. This situation can be just as job threatening as an on-duty incident and lead to a criminal trial and/or a Gross Misconduct hearing. However, Federation rules preclude providing funding for representation at either court or panel hearing, even if the member refutes what is alleged. In this situation, the individual officer would have to pay for legal representation unless they are members of the West Yorkshire Police Federation Group Insurance Scheme. A legal expenses policy is included as part of our Group Insurance Scheme, specifically designed to cover any gaps from Federation subscriptions. In the event of funding not being available through the Federation, this is automatically picked up by the legal expenses policy and gives you the peace of mind that you have access to the same panel of specialist, experienced solicitors and barristers on a 24/7 basis. The costs of legal representation have spiralled in recent years and even if you are acquitted, you may not always be able to recover your costs. This can leave you out of pocket to the tune of many thousands of pounds. We therefore firmly believe that it is vital that you have the cover provided through our Group Insurance Scheme. The provision of this cover means you do not have to take out separate legal expenses insurance through your home or motor insurance policy. Unlike the Group Insurance Policy, these policies are not specifically designed to cover police-related matters and will not cover you for internal misconduct. When you renew either your home or motor insurance, please ensure that you are not paying for cover you already have through the Group Insurance Scheme. Legal expenses cover is often added to the policies and cost in the region of £25 per year for each policy, so ask and ensure you are not paying extra for this cover. The Group Insurance policy is written on a ‘claims made’ basis. 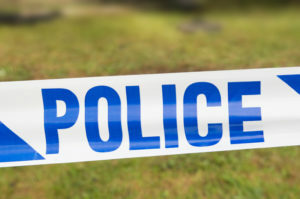 This means that the timing of the event leading to a claim is irrelevant and a member can be supported in any investigation – even those which pre-date you joining the police service. The only caveat is that there is no cover for claims that a member was aware of before taking out the policy. The cover is provided by Legal Insurance Management (LIM), who are leading providers to the police market, with over 20 years’ experience of advising officers across the country. They are a privately owned company and they have complete authorisation from their insurers to manage all claims in-house. This ensures that all decision making is handled quickly and efficiently, which is vital given the inevitable worry and stress caused during an investigation. We have seen LIM take a very flexible approach to the provision of cover: they employ a number of qualified legal advisers who can provide advice and guidance on a range of matters. The cover is available to all subscribing Federation members, as well as any family members you live with. For more information, see our policy booklet at https://wypf.polfed.org/documents/group-insurance-scheme/. If you want to join our Group Insurance Scheme, please contact our Federation office for further details and a joining form.